Place platter upon the pan and cover with another dish. Cook for 40 minutes on low flame. Later 40 minutes, if the mixture is solid, switch stove off. Pack yogurt in a piece of batiste (malmal) cloth for whole night. This will let the yogurt water drain out. Put sugar and cardamoms in 1 litre milk and boil on low flame. 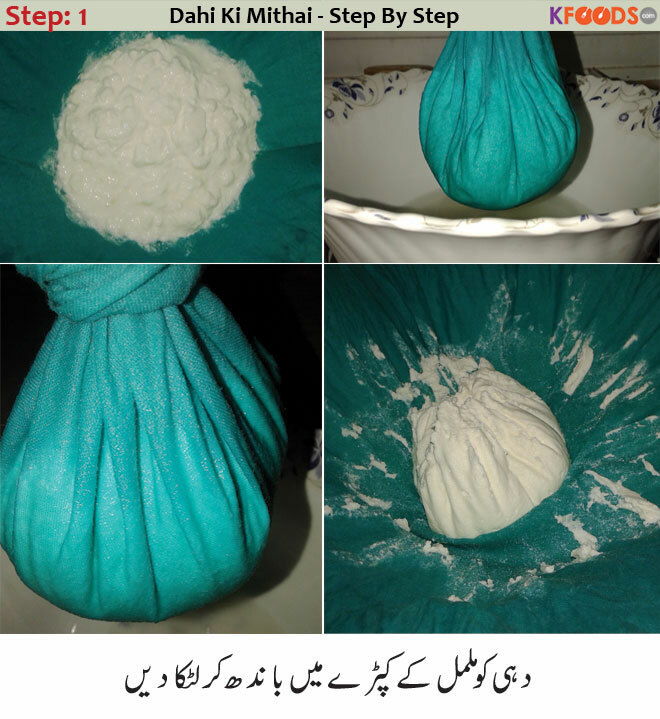 Boil milk until it remains 3/4 kg and it gets brownish in color. Transfer it in a pot and cool on room temperature. Then add condensed milk and yogurt (that you packed in cloth) to the milk. 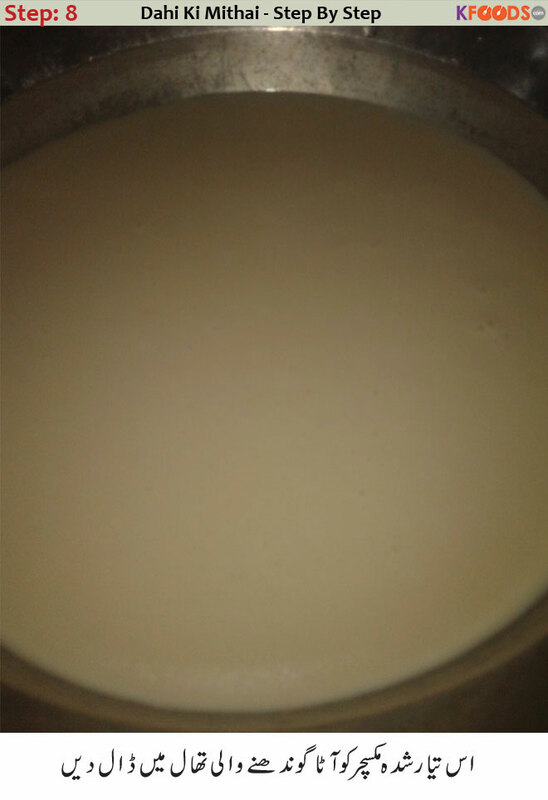 Sift the mixture with a thin sieve thrice in order to amalgamate milk, yogurt and condensed milk very well together. You can also sift it with batiste cloth. Put this mixture into a kneading platter. 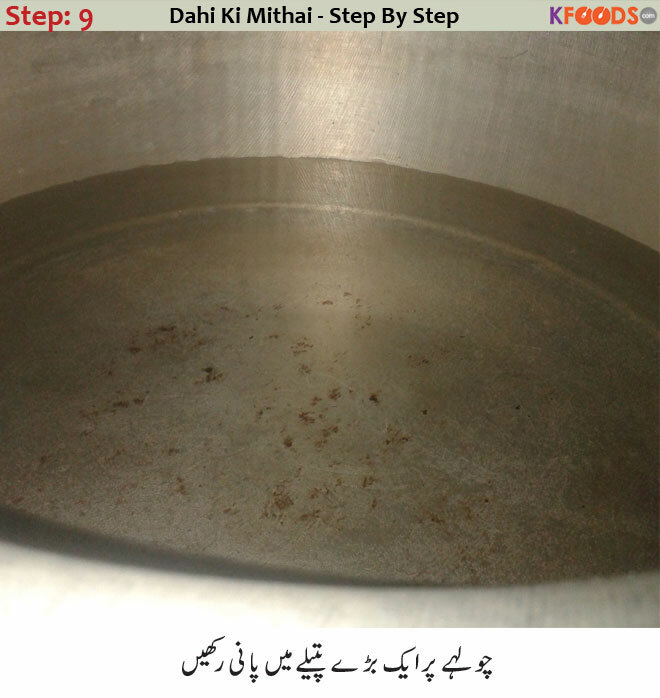 Now fill water into a large saucepan. Place the platter over the water-filled pan. 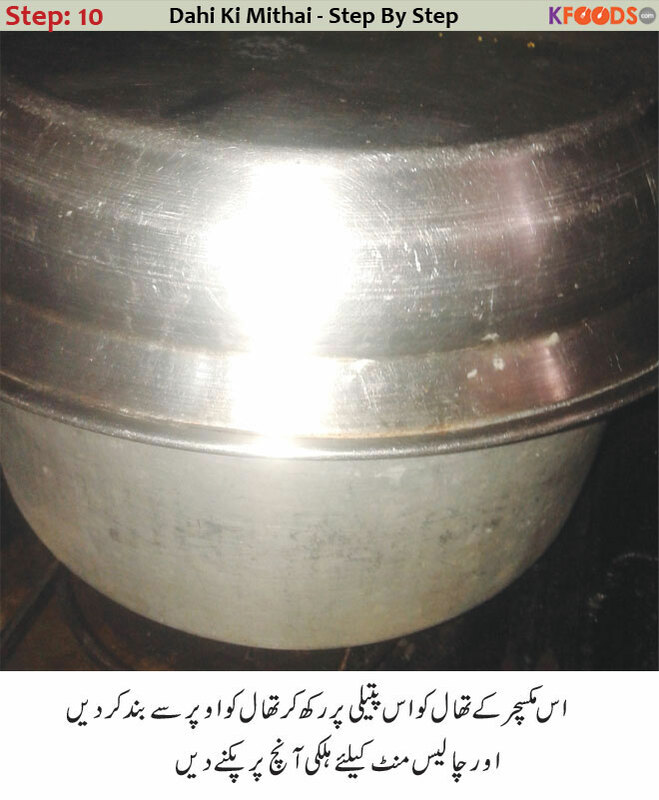 Do not fill water up to the brim as while cooking it can jump into the platter. Cover the platter with a pot now. Now cook it for 40 minutes on low flame. It will be cooked on steam. Check it after 40 minutes. To check it, penetrate a knife and remove. If knife is clear, it is ready. And if even there are hints of milk on the knife, cook it for 10 more minutes at low heat. When it is cool, cut it into square pieces. 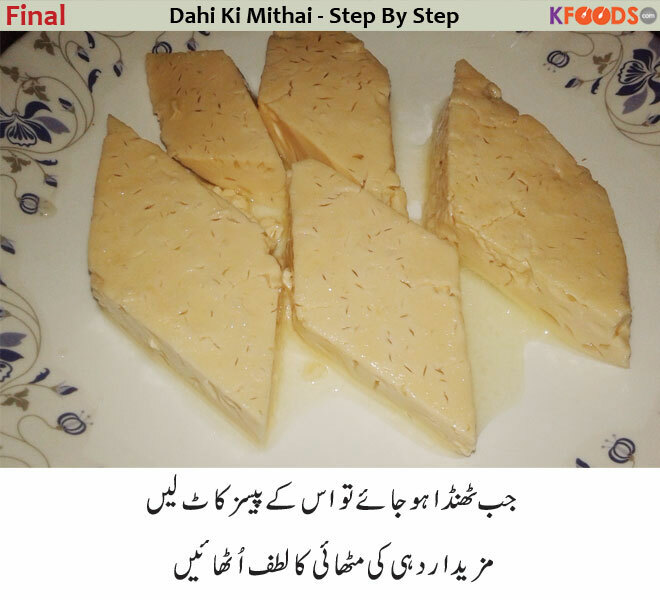 Dahi ki Meethai - Step By Step Recipe | Dahi Ki Dahi Mithai – I know it may be surprising for you, but believe me it is too yummy and not only yummy but also a very simple to make and a very low cost recipe with some very healthy benefits as you already know about, because to make this recipe you will need yogurt, milk, sugar…etc and almost every one aware about the health benefits of milk. 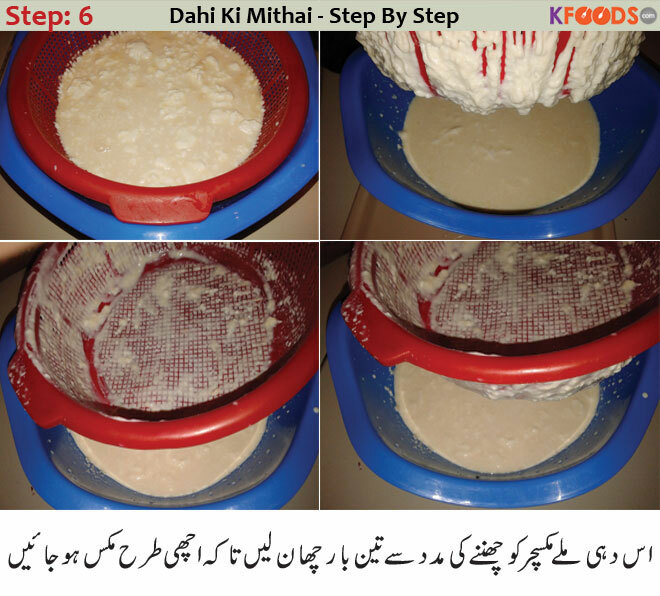 So let’s try this simple yummy Dahi Ki Dahi Mithai recipe and give your views. 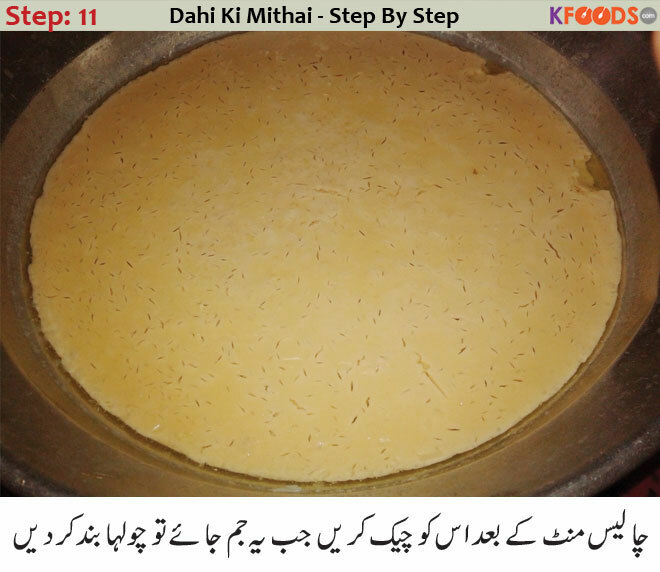 I love to make mithai at home but never tried mithai with dahi. I tried it for the first time and it really tasted so well. The pictures helped a lot. I got the exact result because of the pictures. Thank you for this amazing recipe. 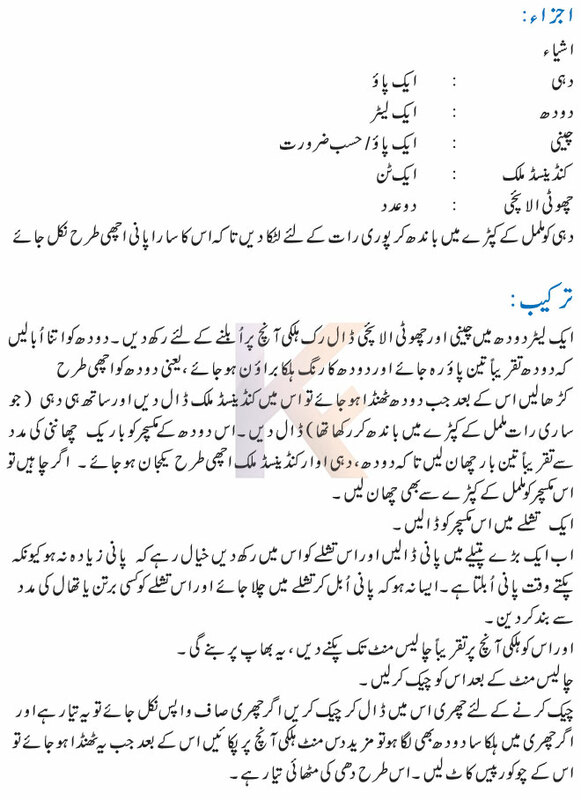 Kindly give step by step receipes in english version as well so that those who dont know urdu can follow in english written receipes easily. 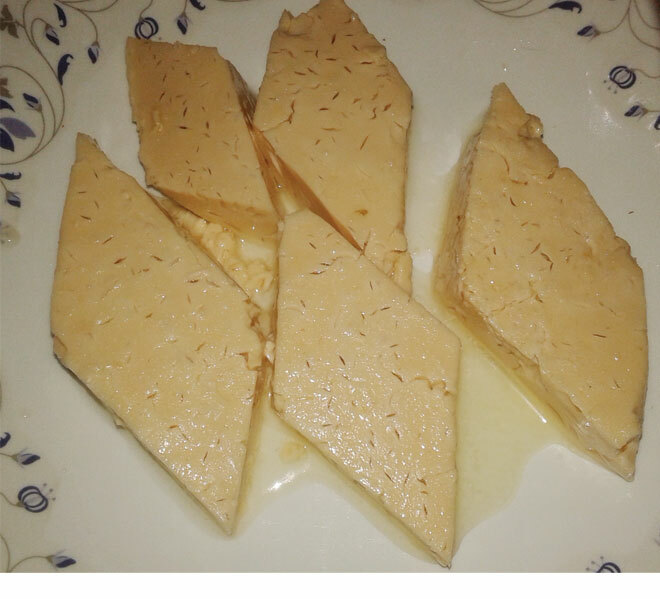 Read Blog about Dahi ki Meethai - Step By Step Recipe and health & fitness, step by step recipes, Beauty & skin care and other related topics with sample homemade solution. Here is variety of health benefits, home-based natural remedies. 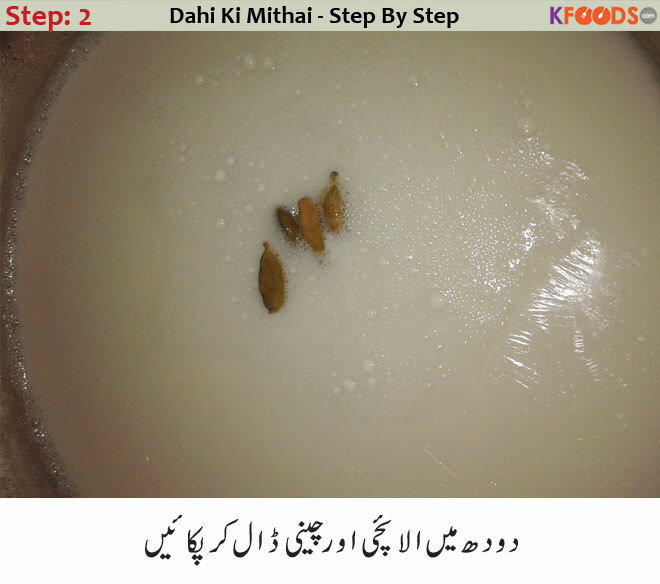 Find (Dahi ki Meethai - Step By Step Recipe) and how to utilize other natural ingredients to cure diseases, easy recipes, and other information related to food from KFoods.